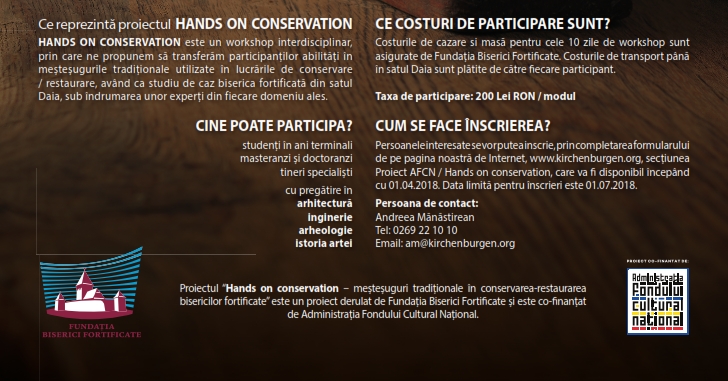 The Fortified Churches Foundation started the project Hands on Conservation, with the financial support from the Administratia Fondului Cultural National. 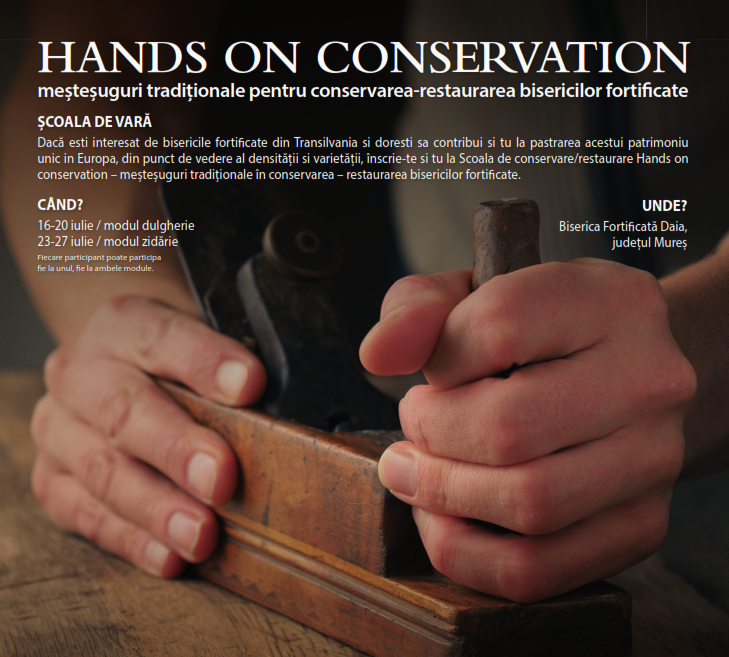 Hands on Conservation is a multidisciplinary workshop, focussing on introducing and training the participants in traditional crafts techniques and materials, in the setting of the fortified church of Daia, Mures county. The workshop will be held in Romanian. Starting with the 1.04.2018, applications can be sent using the following registration form.